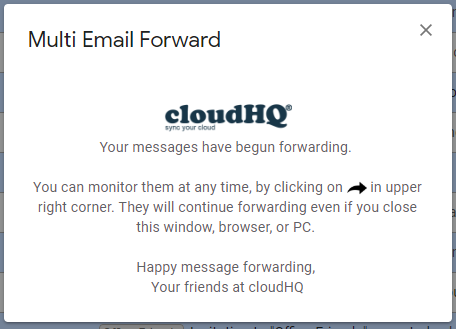 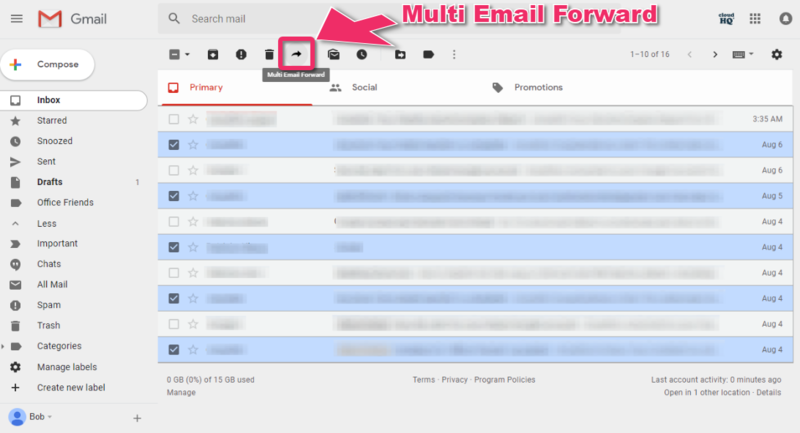 This support note explains how cloudHQ Multi Email Forward can be used to forward multiple emails individually (so each email is forwarded as a separate message). 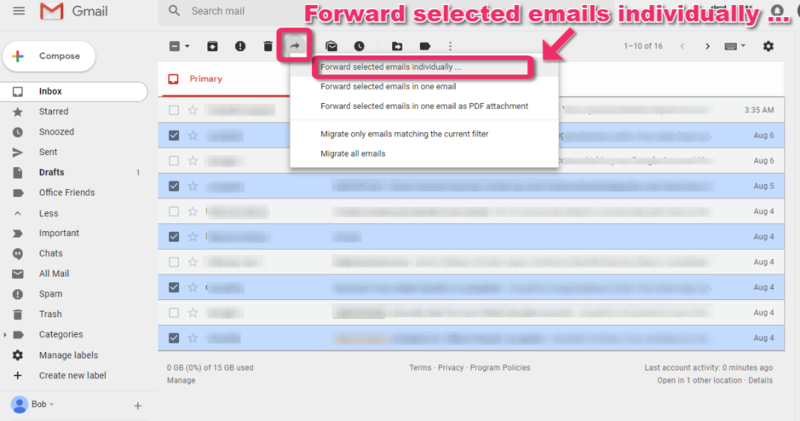 The forwarding is done 100% in the background and you don’t have to have your PC running at all. 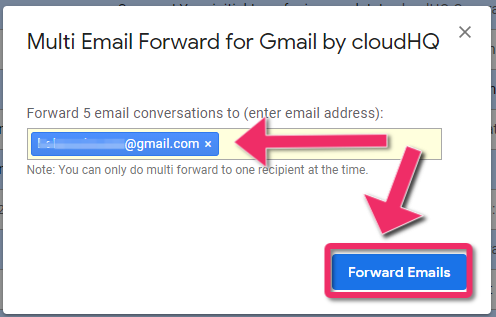 Free Gmail and trial Google Apps accounts have a sending limit of 500 messages per day. 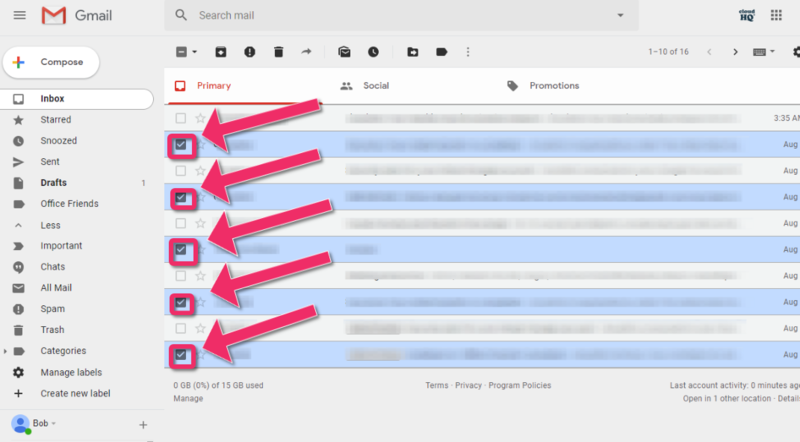 Paid Google Apps accounts have a limit of 2000 messages per day.